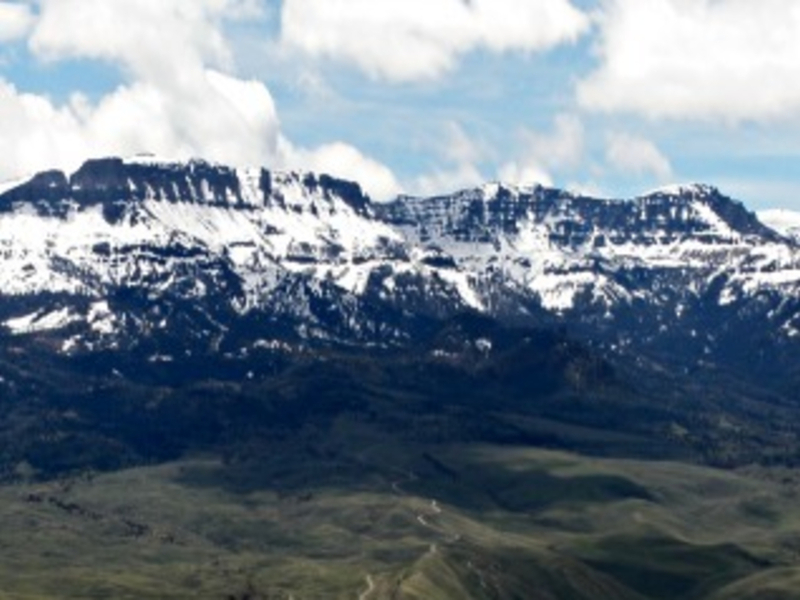 Carter Mountain dominates Cody’s southwestern skyline. Instead of being a single peak, this mountain is actually considered a massif and the largest one in the Greater Yellowstone Ecosystem. It’s total length is 30 miles and it contains at least 13 different summits. The Forest Service road from the South Fork side doesn’t go clear to the top, but you probably won’t be running that far anyway. Unless you’re running the road on a weekend day in mid-summer, chances are you’ll have the road more or less to yourself. That’s a good thing because the road is more dirt than gravel and can be dusty when there’s a number of vehicles on it. This is a great route for uphill training because it’s all climbing until you turn around to return to your car. There are some level spots thrown in, but you’re going to have to work for the chance to turn around. The bottom section of the road is open and traverses through general sagebrush country, so there’s not much shade. Carter Mountain is an out and back run at seven miles each way. At the end of the run you’ll finally reach tree line and you’ll be high enough to get views down into Cody and the South Fork valley. You’ll enjoy this trail run better early in the mornings when the air is cooler. If you like to sweat, then summer afternoons will be your time. More experienced trail runners will appreciate the uphill challenge Carter Mountain provides. This route might be a tad extreme for beginning runners. Those in training will love the burn from this road. 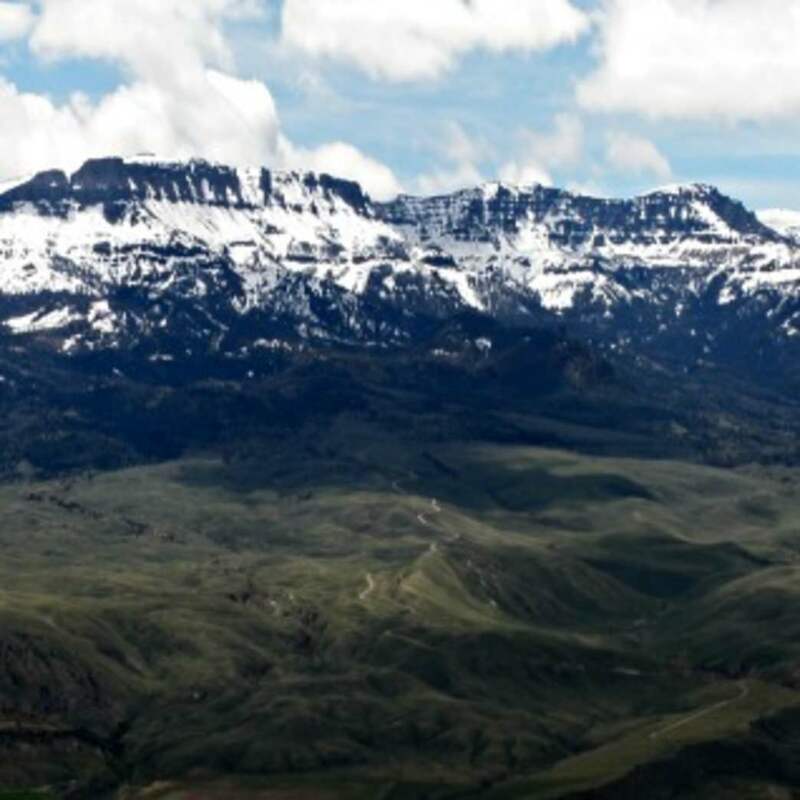 Carter Mountain itself is habitat for all that great wildlife of the Yellowstone Ecosystem including elk, deer, pronghorn, coyotes, mountain lions and bears. Make sure you understand and follow proper safety techniques while out on the mountain. Running with a buddy in unfamiliar country is always a good idea and even more so in bear country. Carter Mountain has easy access from Cody and you can start running the minute you park your car. It’s a beautiful drive out the South Fork with ranches and the river mingling together. From Cody take Yellowstone Avenue west 2.5 miles to the intersection with the South Fork Road. Turn left and continue for 16 miles to the Carter Mountain Road or Forest Road 474. Turn left and park anywhere. There are no fees and leashed pets are permitted. This is one spot in the area where you cell phone just might work. The land on the lower section of the Carter Mountain Road is private property. You won’t hit Forest Service land until you get to the far reaches of the road.